There is nothing cuter than little children dressed in costumes. The thrill they feel trick or treating, pressing doorbells, and receiving CANDY to stash in their little pumpkin bags is so delicious to watch. 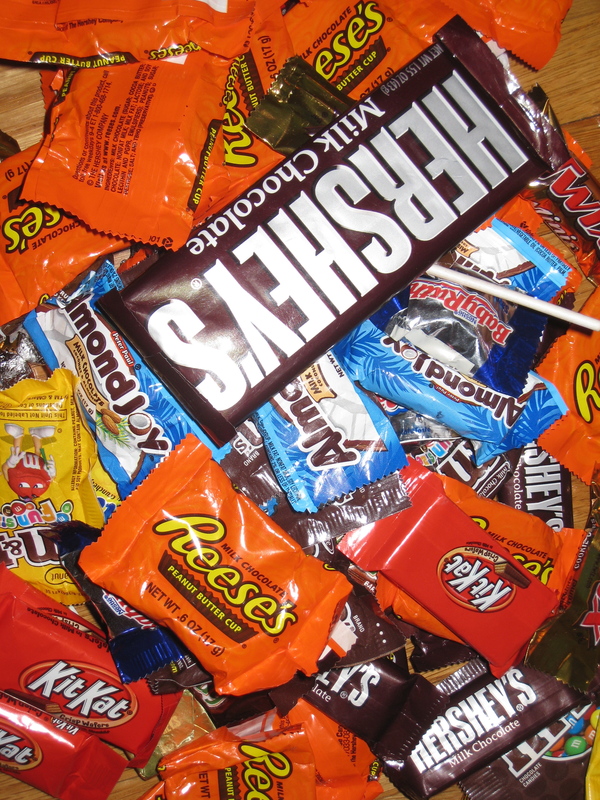 The problem is, we seem to collect more and more candy every year. We STILL have loads of candy at our house. This morning already started with candy eating and negotiating. If I dole it out even piece by piece I am looking at several months of sugar induced fits, and probable tooth decay. So here’s my plan. I told the kids they may have a piece of candy every day until next week, and then I’ll trade them candy for a trip to the toy store. They can chose one toy in exchange for their candy. I also told them that if they are missing their candy too much in the weeks to come we can take a trip over to John Kelly’s Chocolate Store, and they can chose a few chocolates to take home. (All of John Kelly’s chocolates are made from the finest ingredients.) Am I a mean mother? Possibly, but all this candy makes my kids crazy! They fight over it with each other, and with me, which makes me crazy. I do remember the glory of the shiny colored Halloween loot, trading and comparing it for hours on end with my own sister when I was young, but I also might add that I have a mouth full of silver fillings. So that’s my tip – bribe your kids with a toy. I may not make mother of the year for spewing that advice, but it will surely save me some heated battles and less trips to the dentist before next Halloween. Next post: Multi Media Dance at Redcat Theatre Downtown this weekend!